The most recent general elections in Pakistan left the North Western Frontier Province Assembly dominated by secularists after five years of governance by mullahs. This article looks at the role Islam plays in shaping politics in this country listed as a key US ally in the “war on terror”. When the US military launched its air strikes against Afghanistan in October 2001, waves of anger started spilling into Pakistan’s streets. Demonstrations often started after Friday prayers, where mullahs’ speeches branded the US forces as “enemies of God” who seek to establish their hegemony over Muslims’ land. While Pervez Musharraf, then the country’s military chief, aligned the country on the US side in what was called the “war on terror”, many Pakistanis who opposed the war found an echo in the Muttahida Majlis-e-Amal (MMA – United Council for Action), a coalition grouping together Pakistan’s five religious political parties. In the subsequent parliamentary elections in October 2002, it won the majority (65 of 124 seats) in the Provincial Assembly of Pakistan’s North Western Frontier Province (NWFP). There were also other reasons leading to the MMA’s success. “Above all, the unity the religious parties showed in their ranks lead to better results,” says Amirul Azim, information secretary of the Jamaat-e-Islami, Pakistan’s oldest religious party. The MMA coalition was formed to oppose Musharraf’s alliance with the US. Then there was Musharraf’s policy at the time to marginalize secular parties by barring from the elections exiled former prime ministers Nawaz Sharif, head of the Pakistan Muslim League (PML-N), and Benazir Bhutto, head of the Pakistan Peoples Party (PPP), which created a vacuum benefiting the Islamic parties. Founded by Sayyid Abul Ala Maududi in 1941, the Jamaat-e-Islami seeks to implement the Islamic Sharia law through a democratic process. Frederic Grare, a French expert on South Asia who has served in the French embassy in Islamabad and who specializes in Islamic movements, writes: “A distinction should be made between religiously inspired political parties and organizations, and sectarian or jihadi groups. Political parties participate in electoral politics and seek power and influence through democratic means; jihadi groups resort to violence. 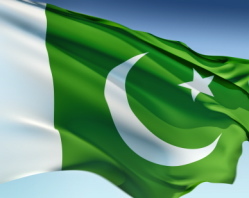 Islam played a central role in the foundation of Pakistan, which, in 1947, was de facto intended to be a homeland for Muslims on the Indian subcontinent. Secular opponents rebuke politicians and lawmakers for their use of religion to achieve political aims. There has always been a commitment from the politicians’ side to make the country an “ideological state”, they argue. They especially point their finger at the army, asserting the existence of a “mullah-military alliance”. In Pakistan the army is, to many people’s dissatisfaction, a powerful institution deeply involved in the state’s politics. Pervez Musharraf has been the fourth military ruler in the country’s short lifetime after Generals Ayub Khan, Yahya Khan and Zia-ul Haq. The “alliance” was reinforced by events and actions ranging from the exacerbation of religious antagonism between Hindus and Muslims from Pakistan’s early years on, to Zia-ul Haq’s “Islamization” of Pakistan’s legal and educational systems and Pakistan’s involvement in Afghanistan under his regime, where the army, the mujahideen – and, incidentally, the Americans – fought against a common enemy, the Soviets. A leading advocate of the “mullah-military alliance” theory is Professor Husain Haqqani, former advisor to Pakistani prime ministers, including Benazir Bhutto, and newly appointed ambassador to the United States. Today, he writes, although Musharraf apparently intends to move Pakistan away from its jihadist past, he continues to use Islamists for political purposes, believing that secular politicians are his rivals for political power. None of the claimed alliance’s members agrees with this theory. If there were such an alliance, a man at its centre would be the Islamist General Hamid Gul. “Don’t call it an alliance – this is ridiculous,” he says, arguing that there is no nefarious objective. He suggests an interesting explanation for the occasional cooperation between Islamists and the regime. For him, Pakistan was a means; Islam was the end; and not the reverse. Referring to the cooperation between the army and religious parties, he says, “Pakistan’s army has a natural incitation towards these people because they are the ones who stand with them, whereas the enlightened moderates in the world of Pervez Musharraf are shy of putting their weight behind the armed forces. For instance, when the Soviets occupied Afghanistan, they were not in line with Zia-ul Haq’s policy. Religious mullahs, on the other hand, were in line because their voters had always had an Islamic orientation. Furthermore, it is asserted that the MMA’s five-year term in NWFP – it was the first time in Pakistan’s history that religious parties assumed power – was characterized by challenges from the federal government. Despite these achievements, and although the situation was not different in Pakistan’s three other provinces – Punjab, Baluchistan and Sindh – the mullahs were unable to fulfill peoples’ aspirations. In the last elections (18 February 2008), it was the secular Awami National Party (ANP) that took over power in the NWFP’s Provincial Assembly. Additionally, the loss of power in February 2008 was less a verdict from the people than a consequence to the MMA parties’ withdrawal from the National Assembly in protest against President Musharraf’s decision to be elected by the out-going National Assembly. The only religious party that contested the elections was Fazlur Rehman’s Jamiat Ulema-e-Islam (JUI), which scored a total of six seats out of 336 in the National Assembly. Even during the first four years of power, Professor Khurshid blames the “real financial constraints as well as the administrative control from the federal government” for having “handicapped the MMA’s performance.” The state chief secretary and the chief of police were appointed by the federal government, he says, and 93% of the province’s budget was administered by the federal government, while the provincial authority had control of only 7%. Whatever the relationship between religious leaders and the regime is called, and whatever influence religion has on politics, there is one thing on which Pakistanis agree: practices are not in compliance with the law. The constitution is constantly suspended and reshaped by military rulers, judges are sacked and the judiciary lacks independence, all this fuelling corruption. This spiraling process is frustrating people. The danger is that, if democracy fails to bring about change, people might be forced to believe that force is the only way to rid the country of injustice.